Welcome to the newest edition of ONEC Advantage – our newsletter that highlights the most exciting news, achievements, and information from ONEC. We hope this quick summary provides you with a deeper insight into the projects we do and how we can support you. As we look back on 2018, ONEC’s focus has been in expanding our markets through new strategic locations and adding top talent to the company. Our teams have sensed a renewed confidence in the market with our clients beginning to invest in new upgrades, renovations, and maintenance projects throughout Western Canada and Western USA. In the last year, we officially added permanent staff and infrastructure in Terrace BC, Sturgeon County AB, Long Beach CA, Fort Qu’Appelle SK, Portland OR, and Seattle WA. We have followed our clients into these markets to continue to provide our engineering and construction services in these areas. Some of our new locations are satellite offices, but still provide the local, trusted relationships we believe are strongly needed in our marketplace. 2019 will be focused on effective project execution for our clients. We anticipate steady and moderate growth of our teams as we take on more projects and maintenance in these regions. We are continuing to improve our project delivery methods through techniques & technologies including laser scanning, augmented reality tools, and lean management tools. Through these methods, ONEC has increased our ability to offer fixed price EPC services for complex brownfield industrial projects. The people at ONEC have been our strength though the market challenges and their ingenuity and positivity have really taken us to the next level. I want to express my personal gratitude to be able to work every day with such a great team. Check in with each of our divisions for personnel updates, notable projects, and other news! 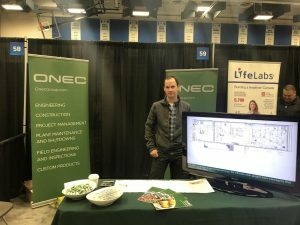 ONEC Engineering Hosts Open House for Mechanical Engineering Students! ONEC is committed to supporting and encouraging budding industry leaders. As part of this commitment, we welcome any opportunities to work with local educational institutions such as the University of Alberta. This commitment is what led us to open our Engineering office’s doors as part of ONEC Engineering’s first ever Open House for Mechanical Engineering students currently enrolled at the U of A! The Open House focused on all things engineering, including what it’s like to work in the consulting business, a day in the life exercise designed to guide students through the entire project completion process from concept to commissioning, a tour of our office, meet and greets with some of our engineers, and a Q&A session with tons of prizes. We are thrilled with the positive feedback we received from the students and look forward to hosting more events like this in the near future. ONEC 3G has been built on the premise that we will provide better value to our clients by addressing multiple components of their projects. By providing a seamless integration between our linear infrastructure, industrial, midstream, and geotechnical services, your linear projects group will be able to capitalize on our “one-stop-shop” approach that improves project coordination and reduces costs. Our goal is to give our clients a highly experienced team working with the latest technology so that we impact their projects in the most positive way. 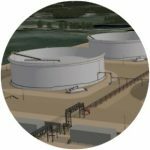 Our suite of linear infrastructure geomatics services supports Concept/Business Case, Pre-FEED, FEED, Pre-Construction, Construction, Turnover Packages, and Operations. ONEC Upstream has established some strong and healthy client relationships that are mutually beneficial in both Canada and the United States. The team at ONEC Upstream strongly believes in working closely with our clients so that we can deliver innovative solutions that ensure a lasting competitive advantage for our clients. On the projects front, Canadian-based projects have been focused on certifying service rigs, while our United States efforts have been focused on two new drilling rig builds for a Houston partner. 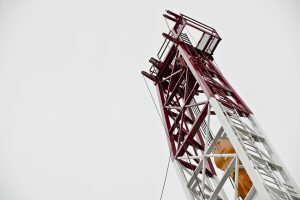 Drilling contractors have indicated that the current market does not constitute adding brand new rigs to their fleet. Their focus has been in refurbishing existing equipment and applying effective upgrades. 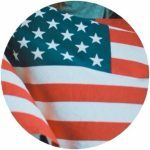 A big focus in the US has been on weight optimization in order to counter transportation and steel costs. ONEC Upstream will be returning to Houston the week of February 18 to support customers and meet new groups. 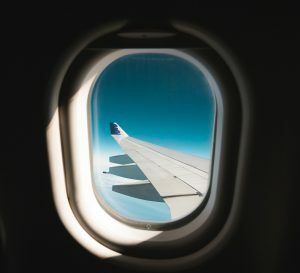 We look forward to the new opportunities this trip is sure to generate! Automation continues to grow thanks to our existing clients that we have long standing relations with and some exciting new contracts recently established both in Canada and abroad. The team is looking forward to a very busy year! Big thanks to all our clients that have trusted us with their challenges and chosen to work with us. We value the relationships – it’s crucial to what we do. ONEC Construction Moves in to New Shop & Office Space! ONEC Construction is happy to announce that we are finalizing setup at our new shop location in Sturgeon County! Signs have been installed and the shop setup will be completed as of next Friday, February 8. We are very excited to be working out of this new space and the amenities it offers. An Open House is expected to be scheduled soon and we cannot wait to show our clients the new location, so please stay tuned! ONEC Major Projects has been working on strengthening new relationships with our subcontractors and partners. These relationships streamline our approach to multi-discipline projects and enable ONEC to continue to be a one-stop-shop for our clients. Several new bids are in progress and we have been shortlisted on some. Awaiting the award announcements on several submitted proposals. The Midstream team has been actively meeting with a multitude of clients to showcase ONEC’s capabilities and technologies. We have an number of projects that are underway. ONEC is committed to provide a workforce that is innovative, diverse, and inclusive. We are proud to announce our support for Engineers Canada 30 by 30 initiative to raise the percentage of newly licensed engineers that are women to 30 per cent by the year 2030. More information regarding the 30 by 30 initiative and what we can do to support Engineers Canada can be found on the Engineers Canada website! ONEC Building Systems specializes in buildings. 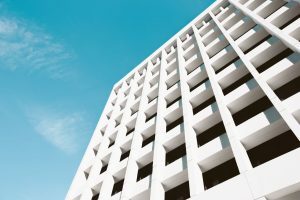 Whether an existing building or new construction, we get involved early, work with you to understand your needs and the work ahead, and plan our work to fit your project. Our consultants offer engineering, design, and consultation, in Civil, Mechanical, Structural, and Electrical disciplines. Where we have industry relationships we can add Architectural and Landscape, Geotechnical, Survey, Environmental, Hazardous Material, Occupational Health and Safety professionals to our team through sub-contract resulting in a single contract to you. We keep our eyes and minds open looking to integrate energy efficiency and sustainability into our work and your projects. Relationships are what we are about. Problems and projects will come and go; as your trusted consultant, we work hard to be there when you need us. ONEC USA continues to see great things on horizon for all of us. We continue to have great meetings with clients and have a tremendous amount of leads we are actively working on. Stay tuned for more developments from ONEC USA! The ONEC Scaffolding Division has been busy with the erection and dismantling of scaffolds on a number of projects and has also been kept busy with estimate and quote submissions. They are also settling in at the new location at Sturgeon County! We would like to thank our Scaffold Erection Teams for their continued efforts in keeping safety a number one priority. Also, we would like to thank them for their efforts in maintaining great client relationships. 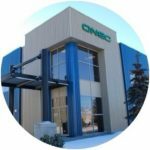 ONEC Northwest BC Operations is pleased to announce that we have officially opened an office in downtown Terrace. 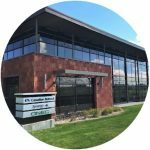 Although a temporary location, until our permanent office in the ONEC Logistics building is ready and operational, the space nevertheless marks the beginning of a new venture for ONEC Group of Companies. Situated in the heart of northwest BC, Terrace is known as the ‘business hub’ of the region. In other words, many service providers and suppliers are located in Terrace to accommodate both Prince Rupert (1.5-hour drive west of Terrace) and Kitimat (45-minute drive south of Terrace) industrial projects. We are poised to move into the next phase of northwest BC’s operations and we look forward to building the ONEC brand and reputation through ongoing engagement with communities and First Nation’s groups; further positioning ONEC group of companies for success. ONEC Logistics is currently finalizing plans for our new flight center in Terrace! 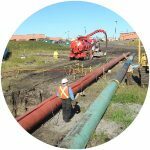 We’ve also been working diligently with our First Nations partner to secure work for the workforce movement scope for the LNG Canada project. We are also working to set up a private charter with direct flights from Terrace to locations in BC and AB. We are looking at beginning of March 2019 for potential start up. Stay tuned for more exciting news from ONEC Logistics! Stay in the know with ONEC! Thank you NAIT for hosting us once again at this year’s Career Fair! Our team had a great time meeting students and alumni and hope to work with some of these budding industry leaders in the near future! Our team thoroughly enjoyed attending the AIHA’s 2019 Annual Stakeholder Event! The event is a full day of networking, keynote speakers, and invaluable industry news and updates. We look forward to attending again next year! Sign Goes Up in Terrace, BC! 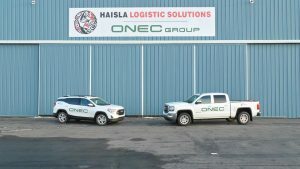 ONEC in partnership with Haisla First Nation is proud to introduce Haisla Logistic Solutions located at the Northwest Regional Airport in Terrace, BC. Stay tuned to hear more about our service offerings! At ONEC, we love hearing from our clients. If you have any feedback regarding this newsletter, suggestions for future editions or any other general inquiries, please feel free to Contact Us.